– Of course I accepted. 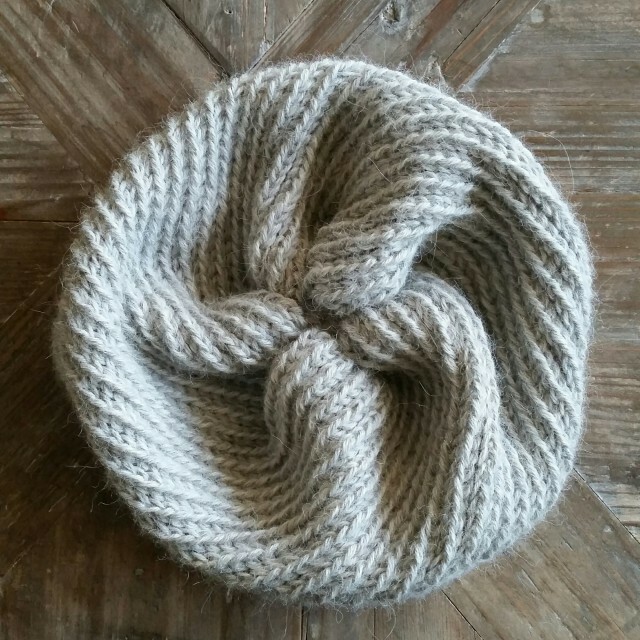 After getting hooked on the spiral pattern I discovered recently, I decided on making a loosely fitting one-size-fits-all hat and circle scarf combo. It is made from 110gr. 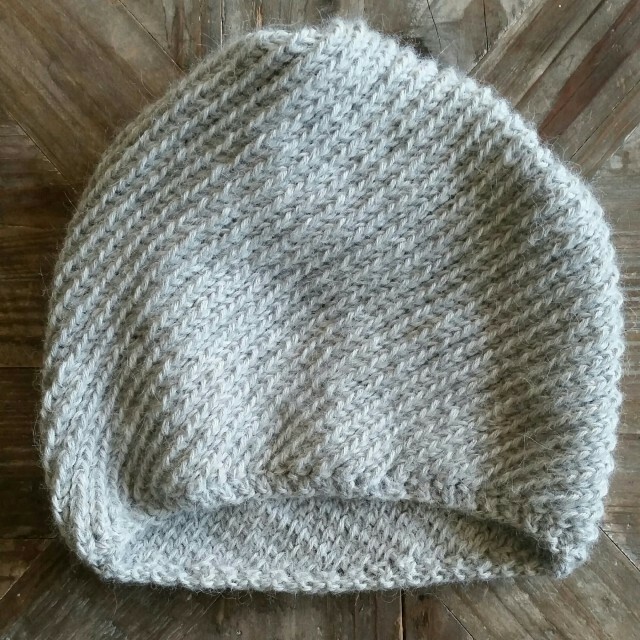 of a 100% alpaca yarn, meaning it is supremely soft (itchfree), warm and elastic. By knitting with a double thread, it got heavy enough not to fly off, but to sit comfortably on your head instead. 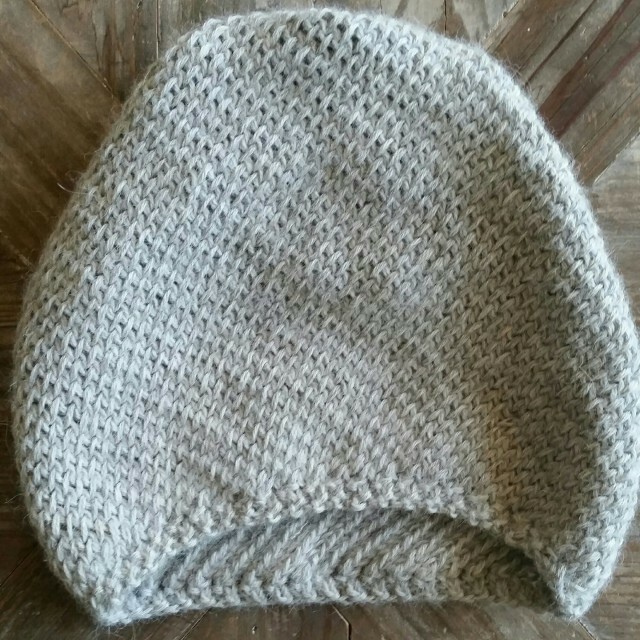 It leaves ample space for your hair and styling while keeping your ears nice and warm. The pattern back side is also very pretty and looks quite unusual. So I made extra sure the hat is completely reversible so that you can choose which side to wear. Cast on 90 stitches on 40 cm long circular 6 mm/ US size 10 needles. Rib for three rounds (1 knit, 1 purl). Now yarn over and knit the next two stitches together (knitwise). Continue doing so until the tube is about 26 cm long. For the last two rounds you continuously knit two together (knitwise) then pull your yarn through all the upper stitches. Leave some extra yarn and “break yarn”. Use a needle to finish. Make sure the thread is as invisible as possible by tracing back the knitting back and forth (so it doesn’t come out on its own). Do the same with your starting thread and voilá! 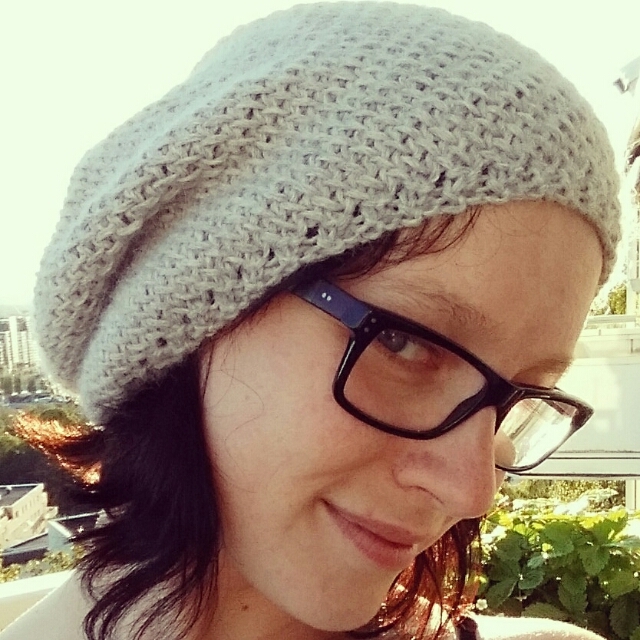 Your reversible spiral winter wonder hat is all done!